Dr. James Hart has provided highly skilled orthodontic care since 1978 while making his #1 focus the health and wellbeing of those he treats. He constantly strives to stay up to date on all the latest advancements in the field of orthodontics in order to exceed the expectations of his patients. He especially enjoys getting to know his patients and their families and is known for having a great sense of humor. Dr. Hart treats all his patients as if they are a part of his family and he is committed to helping them achieve a healthy, beautiful, and confident smile. Dr. James Hart was born in Dallas, Texas and attended Sunset High School. He then received his undergraduate degree from Austin College and went on to earn his doctorate from Baylor College of Dentistry. Upon graduation he received the Omicron Kappa Upsilon Award (Honorary Dental Society) for being in the top 10% of his class. He was also a member of the Baylor Odonatological Honor Society and received the Student Award from the American Association of Periodontology. He received his post-graduate certificate in orthodontics and a Master of Science from the University of Chicago Pritzker School of Medicine. To stay up to date on all the latest advancements in the field of orthodontics, Dr. Hart maintains active memberships with the American Association of Orthodontists, Southwestern Society of Orthodontics, the Texas Association of Orthodontists, and is a Regent of the American Association of Orthodontists Foundation. 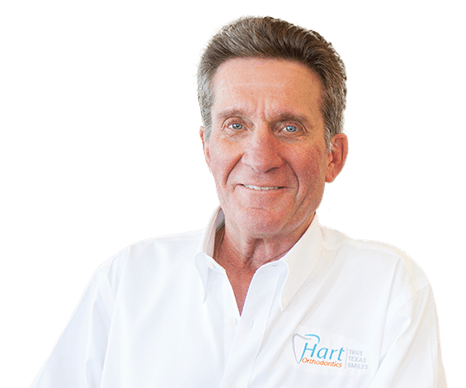 Dr. Hart is also a past president of the Oak Cliff Dental Study Club, past president of the Oak Cliff and Cleburne Rotary Club, a nine-time Paul Harris Fellow of Rotary International, and a graduate of Leadership Southwest. He and his wife Christy are involved in numerous charitable organizations in Johnson County such as theChildren’s Advocacy Center of Johnson County,Cleburne Education Foundation, Boy Scouts of America Longhorn Council, Cleburne Rotary Club, President of the Cleburne Rotary Club Foundation, Big Bear Museum, and Lifetime Member of the Chisholm Trail 100 Club. Recently, his new passion is going on dental missions to the Dominican Republic where a team of volunteering doctors provides free dental care and oral surgery to the underserved people of that area. Dr. Hart joined his father’s practice in Dallas in 1978 after graduating from his Orthodontic Residency. He then opened his own practice in 1981 in Duncanville, Texas and practiced there for 24 years before moving to Cleburne. Dr. Hart took over an existing practice in Cleburne in 2004 and then built his current office in 2008. 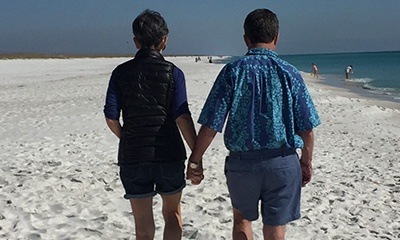 He enjoys nothing more that to share stories about fishing at the coast with his patients or hearing about their travel experiences during summer vacations. Getting to know his patients and their families is part of the satisfaction of doing the work he does. He has thoroughly enjoyed being a part of the Cleburne community and feels honored to been in service to all his patients. Outside the office, Dr. Hart enjoys playing golf, cooking, and fishing. 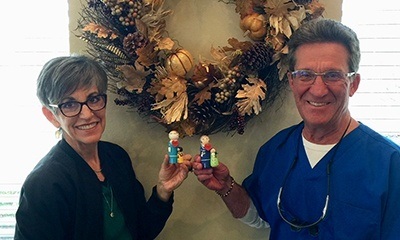 He and his wife Christy have been married for 44 years and have worked together since the practice first opened. As a couple they both enjoy spending time in the kitchen, experimenting with new and healthy recipes. They are the proud parents of an amazing daughter and son who live in Mansfield, and grandfather of three growing boys. 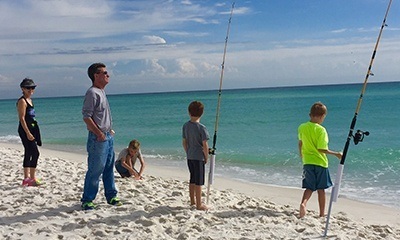 Dr. Hart loves to travel to Pensacola Beach with his family where they love to walk along the beach observing all the beautiful marine life and where he can pass along his trade secrets for fishing to his three grandsons.